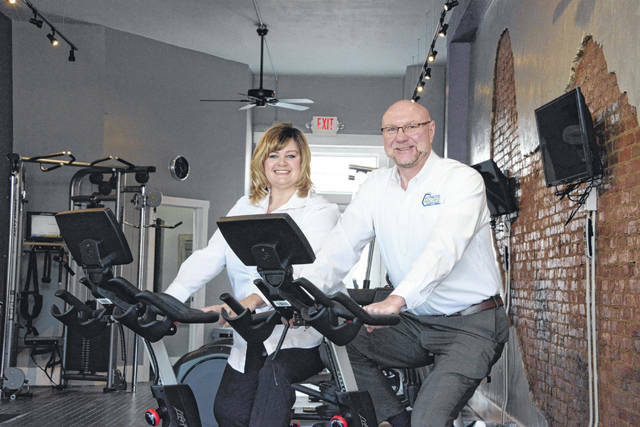 Cynthia and Greg Dove of Mechanicsburg, shown here, have opened a Fitness Machine Technicians business in the Columbus area. With several sites in the United States, Fitness Machine Technicians maintains and repairs exercise equipment for fitness centers, universities, hotels, etc. “Having belonged to gyms my entire life, I have oftentimes seen equipment stand in disrepair for far too long,” said Mr. Dove. “It’s not enjoyable to wait in line for an elliptical, especially in a place you go to be active.” For more information, visit www.FitnessMachineTechnicians.com/MidOhio.